A full-color storybook featuring Nickelodeon's Shimmer and Shine--with a lenticular cover that makes it appear as though the genies are actually moving! 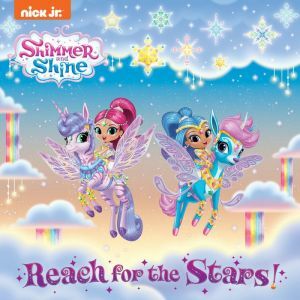 Discover the magical new world of Zahramay Skies with Nickelodeon's Shimmer and Shine! Boys and girls ages 3 to 7 will love this exciting full-color storybook featuring Nickelodeon's Shimmer and Shine. It includes a zahra-amazing lenticular cover that makes it appear as though the genies are actually moving!